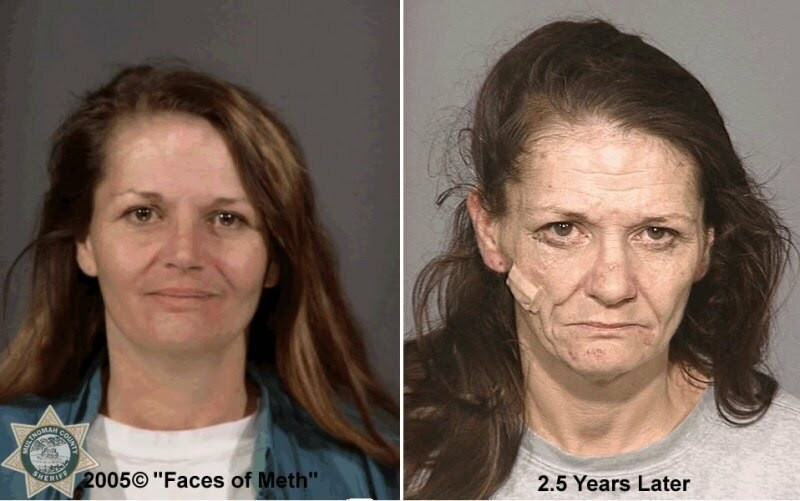 Meth is a drug that has become increasingly popular over the years; however, its effects on the body and brain are far worse than that of many other drugs. Many users say they crave the high because it gives them a great sense of pleasure followed by feelings of euphoria. These results may also be experienced with “increased energy, focus, confidence, sexual prowess and feelings of desirability” (www.pbs.org). The skin is damaged; sores do not heal as quickly and acne may appear, in many cases making the person look years older. Meth is highly addictive and can change a person’s life in as little as one use. Meth alters the body both inside and out, and in many cases the damages are irreversible.